Passionate about living the happiest, healthiest life possible, Lianne Weaver set up Beam Holistic in 2013 with the aim of helping individuals achieve the same. 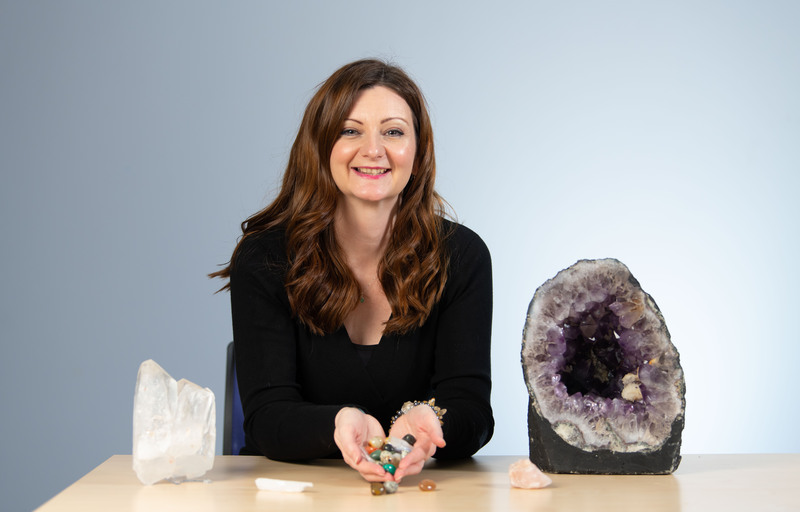 With a background in Human Resources and Accountancy, Lianne decided to make a significant career change to follow her passion and set up Beam Holistic Therapy & Training. Beam is now split into two distinct areas, training and therapy, offering expert support in areas such as wellbeing, resilience and positive change through reiki, EFT, hypnotherapy, happiness, positive psychology, resilience, meditation, mindfulness, and tarot, amongst others. Beam Holistic was established in 2013 as Beam Holistic Therapy offering both one-to-one therapies and unique training programmes within their premises in Newport. In 2017, Beam split into 2 distinct businesses: Beam Holistic Therapies for 1-2-1 therapy work and Beam Development & Training offering corporate wellbeing training programmes. Lianne first approached the Welsh Government’s Business Wales service as she needed assistance with developing her sales strategy and securing a more consistent flow of business. She was looking for a mentor with experience in selling services, who could help her promote her business and maximise its potential. Lianne said: “I was matched with James Wood early 2017. At that time, my business had been ‘on hold’ for 6 months whilst I helped take care of my dying mother-in-law. As well as the emotional struggles during that time, it meant that when I returned to work, I felt I needed to start my business all over again. This made me reach out to Business Wales for a mentor. Upon meeting James, we clicked immediately; he showed me everything that I had created within my business and made me believe that I was actually doing quite well. He encouraged (and continues to encourage) me to focus upon my goals and believe in myself.